The AAA has found alternative premises which need a lot of work. Lucy was not so fortunate and was “thrown away” in her late years, just before she developed arthritis. 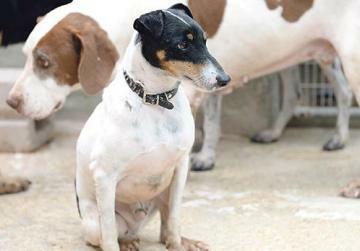 Aged 10, she has now joined 80 other canine residents at a dog sanctuary in Marsa waiting for someone to take them to a loving home. Nunu is one of the 80 abandoned dogs looking for a loving family. Unfortunately, the elderly dogs at the sanctuary run by the Association for Abandoned Animals (AAA) are the last to be adopted. Some spend years there and a couple have even died without ever having had a second chance. Sanctuary manager Rosalind Agius recently adopted one of them. Eight-year-old Chucky loves her unconditionally and she believes that older dogs are easier to train than puppies. Chucky’s family did not know neither how old the dog was nor how long they had had it in their family. It was like “some book in a sideboard”. “What that family threw away was the largest gift for me. 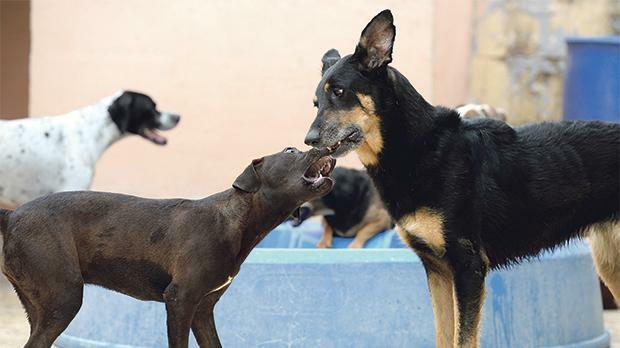 Sadly, this is not the reality for all the dogs here,” Ms Agius says. 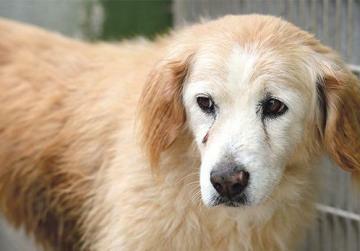 Lucy, abandoned in her late years, has arthritis. All the dogs at the sanctuary are “victims of society” and some were abandoned by owners who thought they would have been better off roaming the streets. “They are usually abandoned around fields – in Siġġiewi, Dingli, Ta’ Qali and Xagħjra, among others. The owners are mistaken if they think they are giving them another chance. All they are giving them is hunger, fear, dog lice and the prospect of being run over by a car,” Ms Agius remarks. 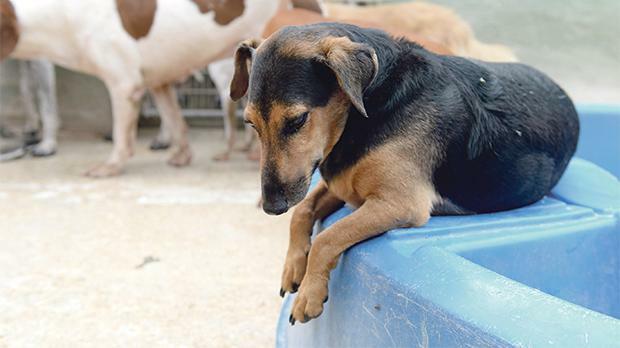 Ms Agius is worried with the amount of dogs being sold online, noting that the number of people abandoning animals was still larger than those willing to adopt. 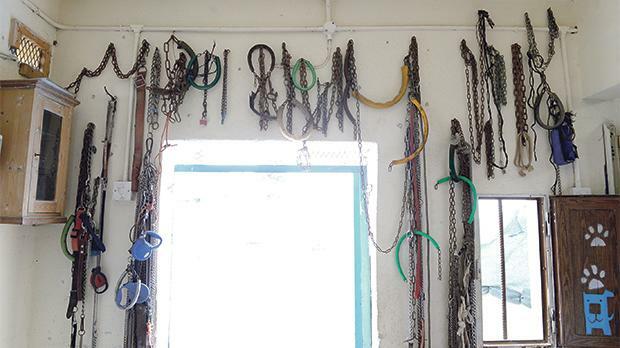 The wall of shame is covered in chains. The AAA last year appealed for help as it risked shutting down because a project that includes a childcare centre and a car park was under way on a plot of land behind the sanctuary it rented from a private entity. Curious Ray (left), four, mixed breed, was very shy when he was taken in as a stray. He used to spend the day alone in the kennel but is nowadays very friendly and healthy. 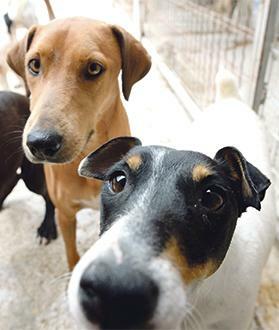 Gentle Michelle (right), aged four, is a tricolour fox terrier, found abandoned in Siġġiewi. The gentlest of dogs, she can be homed with anyone – from a baby to an elderly person. 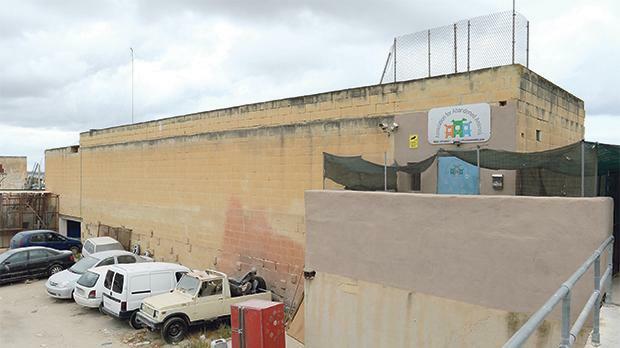 It was later provided with a place in Birżebbuġa by the Parliamentary Secretariat for Animal Rights, then headed by Roderick Galdes, which it rents at a minimal fee. Although in shell form, the place, once refurbished, is deemed to be ideal for the AAA. The new building requires renovation which the association says it cannot afford. The AAA is therefore appealing for electricians, plumbers, tile layers and construction professionals willing to offer their time and skills to come forward. Sponsorships are one of AAA’s main sources of income. With €30, you can provide food, shelter and any medication costs for a sponsored dog. You can sponsor as many dogs as you like and sponsorships can be renewed after a year. The sponsor will receive a certificate together with a photo of his/her new friend and those of are more than welcome to visit their sponsored dog at the sanctuary during public hours. Donate €2.33 by sending an SMS on 5061 7350, €4.66 on 5061 8060, €6.99 on 5061 8910 or €11.65 on 5061 9200. Log on to http://aaamalta.com for more information about AAA and the sanctuary. Playful Trixie (right), aged eight, is a German shepherd. She lived her life chained which is still not illegal. King Lucky, aged six, mixed breed, reigns over the sanctuary. When he is not playing in the water, he makes sure he is the first at the food bowl.